MONDAY, 11 APRIL – The Anti-Corruption Secretariat of Universiti Malaysia Sabah (UMS) in collaboration with the Malaysian Anti-Corruption Commission (MACC) Sabah successfully held a Forum on the World of Corruption, Challenges and Reality, held at the Main Lecture Hall 13, UMS recently. With the theme “Corruption Behind Closed Door”, the forum had invited panels from UMS Islamic Centre, Ustaz Jimmis Jumat; President of the Student Representatives Council (MPP), Mohd Taufik Nordin; and the Chairman of the Secretariat of Felda Undergraduates Agreement (PERSADA), Datu Rosman Datu Akhir Zaman. The forum among others discussed the issues of corruption and its meaning in a religious perspective, as well as avenues in creating awareness on the dangers of corruption among students. 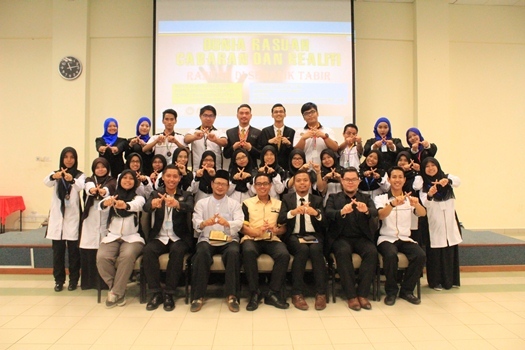 Mohd Taufik stressed that students need to be aware, as intellectual students that corruption should be avoided. “Students in particular, and the public must follow all regulations and any guidelines so that we can ensure that corruption does not exist among students, government service or private sector,” he urged.